ELA.RL.6.2: Determine a theme or central idea of a text and how it is conveyed through particular details; provide a summary of the text distinct from personal opinions or judgments. ELA.RL.6.3: Describe how a particular story's or drama's plot unfolds in a series of episodes as well as how the characters respond or change as the plot moves toward a resolution. ELA.RL.6.5: Analyze how a particular sentence, chapter, scene, or stanza fits into the overall structure of a text and contributes to the development of the theme, setting, or plot. ELA.RL.6.4: Determine the meaning of words and phrases as they are used in a text, including figurative and connotative meanings; analyze the impact of a specific word choice on meaning and tone. ELA.RL.6.7: Compare and contrast the experience of reading a story, drama, or poem to listening to or viewing an audio, video, or live version of the text, including contrasting what they "see" and "hear" when reading the text to what they perceive when they listen or watch. ELA.RL.6.6: Explain how an author develops the point of view of the narrator or speaker in a text. ELA.RL.6.9: Compare and contrast texts in different forms or genres (e.g., stories and poems; historical novels and fantasy stories) in terms of their approaches to similar themes and topics. 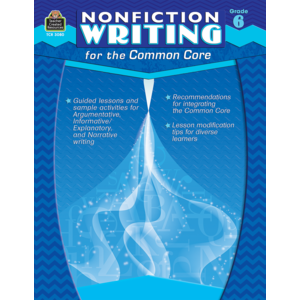 ELA.W.6.6: Use technology, including the Internet, to produce and publish writing as well as to interact and collaborate with others; demonstrate sufficient command of keyboarding skills to type a minimum of three pages in a single sitting. ELA.SL.6.1: Engage effectively in a range of collaborative discussions (one-on-one, in groups, and teacher-led) with diverse partners on grade 6 topics, texts, and issues, building on others' ideas and expressing their own clearly. ELA.SL.6.3: Delineate a speaker's argument and specific claims, distinguishing claims that are supported by reasons and evidence from claims that are not. ELA.SL.6.2: Interpret information presented in diverse media and formats (e.g., visually, quantitatively, orally) and explain how it contributes to a topic, text, or issue under study. ELA.SL.6.6: Adapt speech to a variety of contexts and tasks, demonstrating command of formal English when indicated or appropriate. ELA.SL.6.4: Present claims and findings, sequencing ideas logically and using pertinent descriptions, facts, and details to accentuate main ideas or themes; use appropriate eye contact, adequate volume, and clear pronunciation. ELA.SL.6.5: Include multimedia components (e.g., graphics, images, music, sound) and visual displays in presentations to clarify information. ELA.RI.6.6: Determine an author's point of view or purpose in a text and explain how it is conveyed in the text. ELA.RI.6.9: Compare and contrast one author's presentation of events with that of another (e.g., a memoir written by and a biography on the same person).